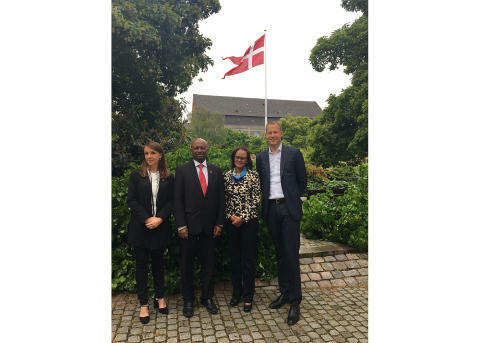 In connection with the Africa Energy Forum conference in Copenhagen this week the Ethiopian minister for Water, Irrigation and Electricity Dr. Seleshi Bekele paid a visit to the Danish Energy Agency (DEA). The delegation from the Ministry of Water, Irrigation and Electricity (MOWIE) was joined by the Ambassador of Denmark in Ethiopia, Ms. Mette Thygesen and was welcomed in the Danish Energy Agency by the Director General, Mr. Morten Bæk. Under the “Accelerating Wind Power Generation in Ethiopia” Programme (AWPGE) between Denmark and Ethiopia, the Danish Energy Agency is exchanging experiences on how to support large scale wind power investment through clear and effective political and regulatory frameworks. The Danish Energy Agency is assisting the Ethiopian authorities to develop an independent power producer roadmap for onshore wind projects and to shape new procedures and framework conditions. During this Implementation Partner Arrangement signed between MOWIE and DEA in February 2017, a number of activities have been arranged in order to ensure successful IPP wind tenders in Ethiopia. 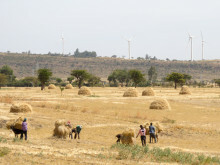 In addition a one-stop-model for wind projects inspired by Danish example will be developed by the Ethiopian authorities securing that IPPs only have to deal with one public authority regarding project approvals and licenses. 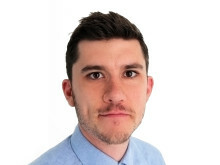 A workshop has also taken place in Addis Ababa in May, in which wind power companies and experts have shared experiences on wind project development in Africa and internationally with the Ethiopian government and the relevant authorities. To follow up a Tender Design and a Wind Project Financial Workshop will be organised in Addis Ababa, since significant decisions should be made concerning the actual tendering process and the responsibilities and risks between the public and private sector in Ethiopia.